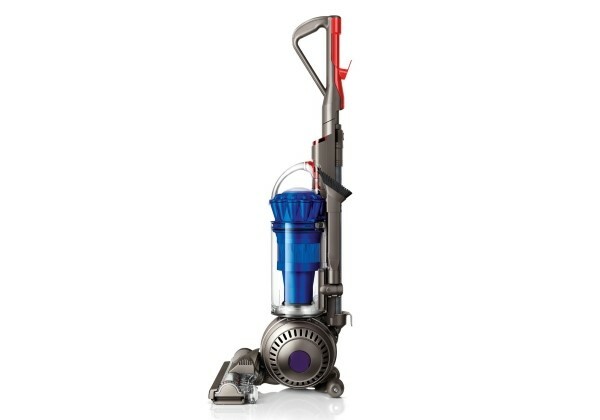 Knowing that you want a cylinder vacuum is really just the beginning of the shopping process. 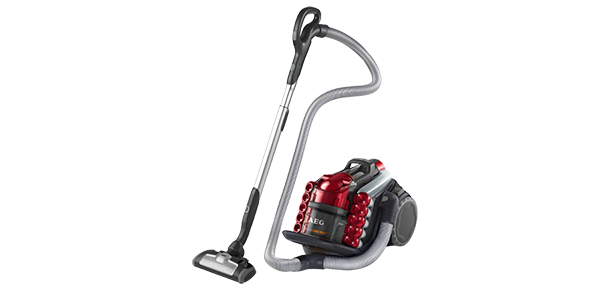 Even within this range of vacuum cleaners, the consumer has a vast array of options. Reading this guide to cylinder vacuum buying can help the consumer to sort out the issues and provide them with a better understanding of the factors that they need to identify and compare as they select the right vacuum for their home. 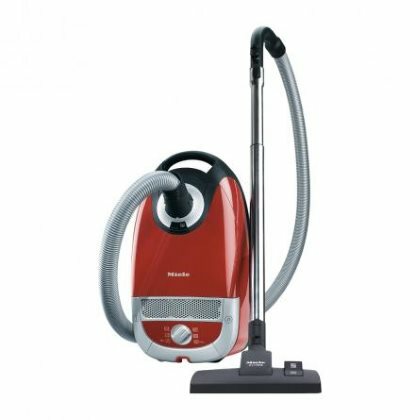 The following are some pros and cons that are generally associated with cylinder vacuum cleaners. The reader should note that these pros and cons do not necessarily apply to ever model in this range. Some of the better machines may have design features that help them to overcome some of these cons and other machines may be poorly designed and, as a result, they may not live up to all of the expected advantages. Both bagged and bagless vacuums convey their own advantages and disadvantages. The style of dirt collection that you choose will mostly come down to personal preference. Neither style outperforms the other in regard to cleaning capabilities, so consider the benefits and drawbacks of each and make an informed decision as to which better suits your needs. 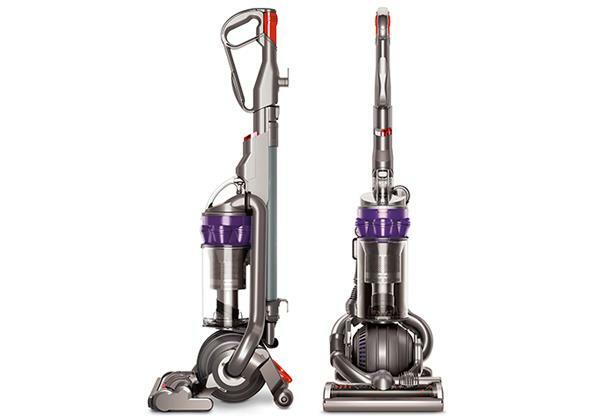 Concerning the difference in cost between these two types of vacuums, bagless models will usually cost the consumer more, but you do not have to pay for replacement bags and this does lower the operating costs of the machine. These models collect the dirt and debris in a bag that is situated in the machine. When the bag becomes full, the user removes it from the machine and replaces it with a new bag. The bags usually have a higher dirt collection capacity than the bagless dirt container, but it does take a little more effort to remove and replace the bag. In addition to that, you have to consider the time you spend shopping for the bags and the amount of money that you spend on them. With a bagless machine, the dirt collects in a bin. When the bin is full, the user empties it in the trash and reconnects it to the machine. This tends to be easier than removing and replacing a bag, but the lower capacity will mean that the user will need to remove the dustbin more often. Along with that, the bin does not seal in the way that a vacuum bag does when you remove it from the machine. This means that more dirt and dust will escape when you are emptying the dirt canister. This is an obvious area of concern for any person that is in the market for a new vacuum. If the model that you buy does not deliver effective cleaning capabilities, then what good is it? That being said, there are a lot of factors that determine how effective a vacuum will be. Cylinder vacuums are known for their power. They tend to have higher wattage motors and this delivers more suction. However, some of this power is lost because of the design of the machine. With the motor being further from the cleaning head, it requires more power for the machine to provide adequate suction. While most cylinders do rely on the power of the machine to deliver effective cleaning, the design features will also play a significant role. If the machine has cyclones, then it will provide more consistent performance and the filters will be less likely to clog. Cyclonic suction does not necessarily mean stronger suction, but a cyclone vacuum should provide better performance over time. The design of the tube and the floor-cleaning head will also matter. Some heads don’t use the suction as efficiently as others and this will obviously affect the machine’s ability to pick up dirt and debris. You also want to consider whether the head is adjustable. 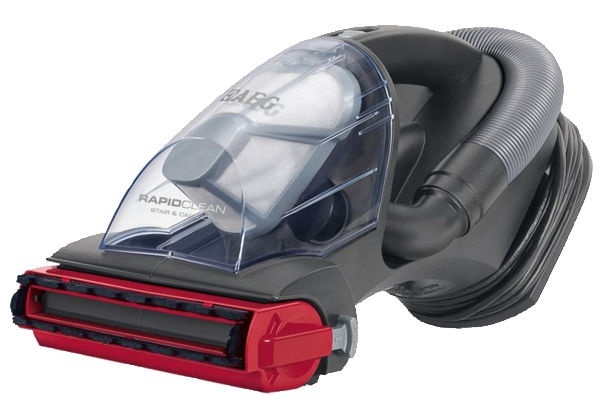 An adjustable head can provide better cleaning on more surface types. 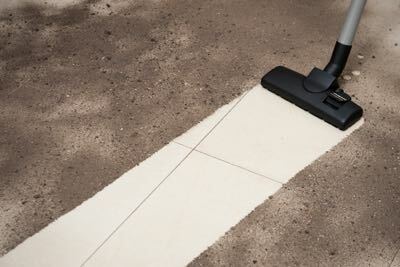 In general, cylinder vacuums are seen as being best for hard floors. 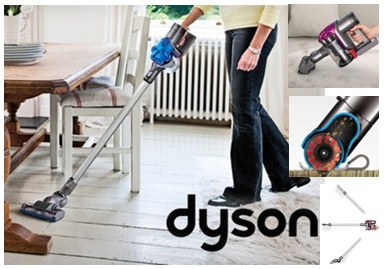 This is in part because of the increased power, but also because most cylinders do not have the brushes that can hinder the cleaning of hard floors. The presumption that cylinders tend to be better for hard floors will usually hold up, but the idea that they are lacking when it comes to cleaning carpets is not always true. Some cylinder models do come with heads for cleaning carpets. 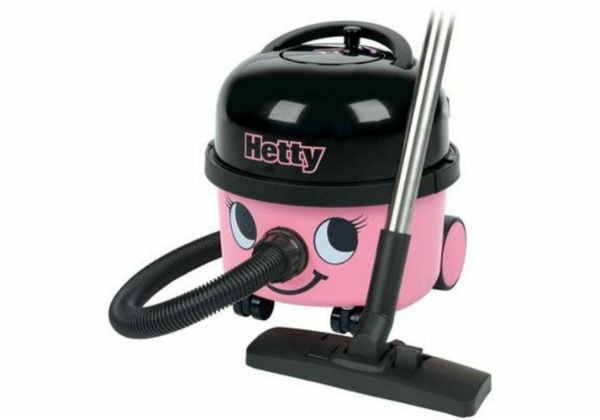 If you are looking for a cylinder that will also perform well on carpets, then you want to make sure that it has a head with motorised brushes. 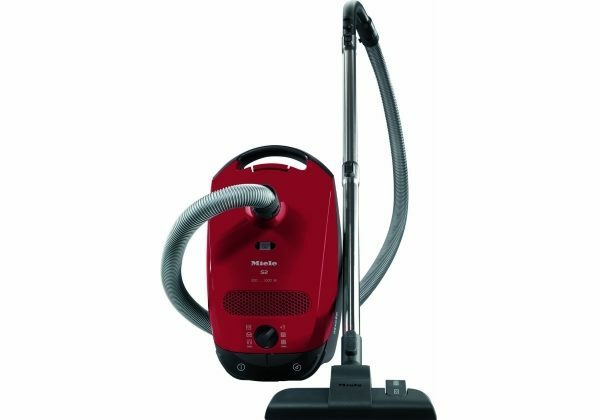 How easy a vacuum is to handle, both when in use and when moving it from one place the next, is an important factor when it comes to ease of use. 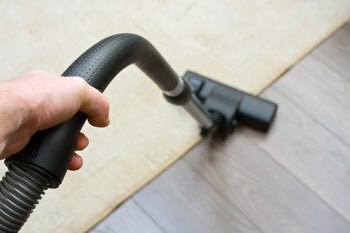 If you are continually struggling to move the vacuum around and to maneuver the machine, then it is going to take more time and effort to get the job done. With the exception of a few of the models on the high end, cylinder vacuums usually do not have much of steering system to speak of. Usually, the body of the machine is put on multi-directional castors and the rest is up to the user. However, the quality of the wheels will make a difference. 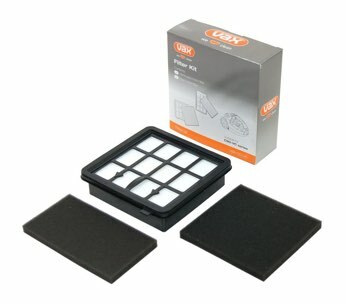 Cheap castors will be hard to manage and they could even damage the floors. When it comes to how easy the machine is to handle when you are using it, the cleaning wand makes a big difference. 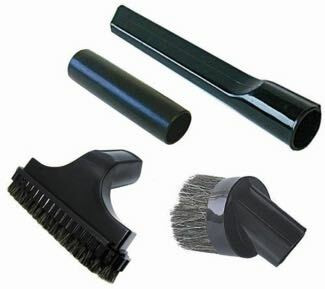 A well-designed cleaning wand will have a good handle that allows for solid control of the cleaning head. A good cleaning wand will have balance and it will be designed to help the user angle it and move it around as they clean their home. Though there are some models that are a little heavy and bulky, cylinders are known for being compact and lightweight. This is important because you are going to have to move the machine along with you as you clean. If a cylinder model is too heavy, it will be a real pain for the individual when they are using it and when they are trying to get it out and pack it away. 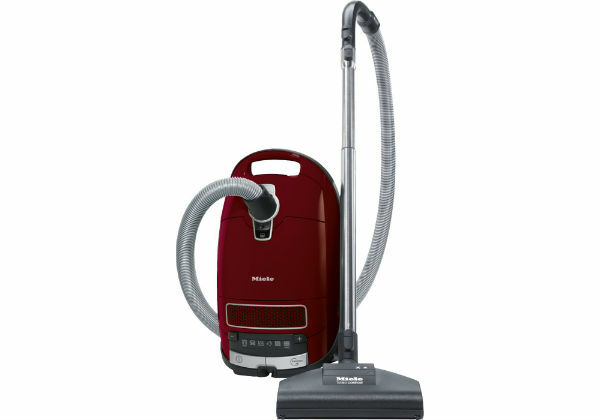 Every vacuum is going to have an exhaust that releases some degree of dirt and dust back into the home environment. The type and design of the filtering system will determine the cleanliness of the exhaust. For consumers that have respiratory issues, finding a machine with a good filtering system should be a priority. This is called standard filtration (also known as staged filtration) because it is the type of filtering system that vacuums have had for most of their history. With this design, the air is filtered through a series of pieces of material to catch the dirt and debris as it goes through the machine. The quality of the filtering process will largely depend upon the number of stages that the air has to pass through. Most machines come with anywhere from 4-7 stages, but you can find models that even go beyond these levels. If you or someone in your home has problems with allergies or asthma, then this is the type of filtration that you want to look for. HEPA filters are designed to trap some of the smallest particles and they will effectively remove much of the pollen and dust that would otherwise be released from the exhaust. See the Vax example on the right. A charcoal filter is a feature that you will find in a lot of the vacuums that are design for homes with pets. The filter can help to control different smells because it has a layer of charcoal to absorb the odors from the air as it passes through. When you buy a vacuum, it is either going to have replaceable filters or filters that are good for the life of the machine. There is no general rule for which one provides better filtering, but the advantage to lifetime filters is that the consumer does not need to spend money on replacements. Some lifetime filters may need the occasional washing and it is important to follow the manufacturer’s instructions when it comes to care. Failing to wash or replace a dirty filter can lead to poor performance and it may result in damage to some of the mechanical components. 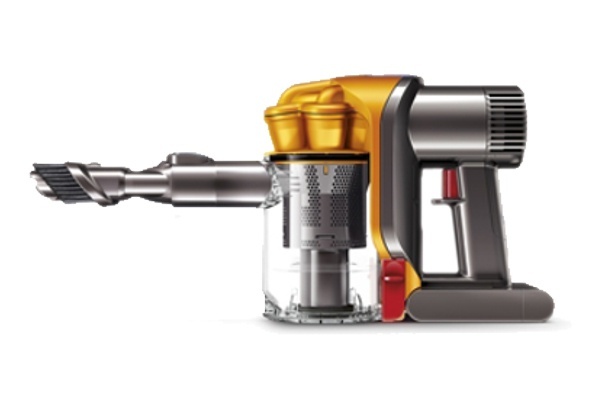 Nowadays, almost every vacuum cleaner is going to come with a set of attachments. With cylinder models, you are at least going to have one floor cleaning head and then you will probably have a basic set for crevice cleaning, upholstery and dusting. There is a variety of different types of floor tools that may come with a cylinder vacuum. Some come with a single floor head for cleaning both hard floors and carpets and others come with a separate floor tool for each. The crevice tool is for getting into all of the narrow places that the other attachments cannot reach. It is the long attachment with the slender body and the angled tip. This tool usually has a rectangular head and it almost resembles a small floor tool. It is good for cleaning things like furniture and it can be good for the stairs if the floor tool is too large. Most dusting brushes will have a round head and some bristles to help it remove dust as you clean. It is good for cleaning around curtains, shelves and in other areas where there may be delicate items. This is a hand tool that will have motorized brushes for removing dirt and debris from carpeting and upholstered surfaces. These tools are less common than the ones listed above, but they are especially good for homes with pets. A telescopic wand is not an attachment, but it is important to note because it can increase the reach of the wand and allow the user to reach further with the attachments. With the telescoping feature, the user can adjust the length of the tube depending on the job that they are doing. 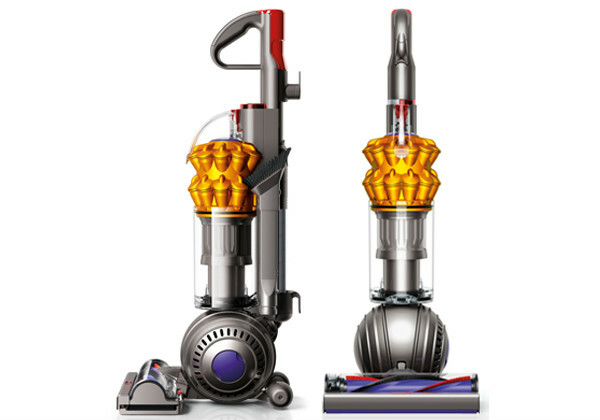 Please see the Dyson example on the right showing how the wand can be extended to allow your to vacuum hard-to-reach areas. 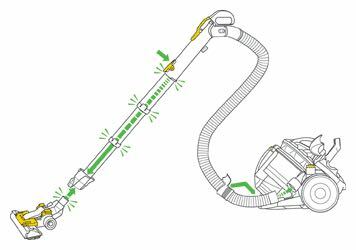 Cylinder vacuums tend to be less efficient than uprights as they rely more on power (the dirt has further to travel with a long hose), but there are still options that offer decent efficiency in this range. The difference in efficiency on your vacuum will not have a dramatic impact on your utility bills, but it can save you money over the life of the machine. 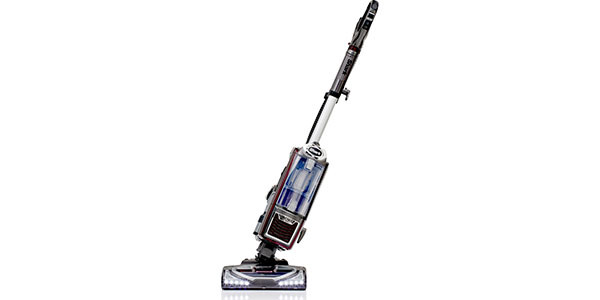 By regulation, every vacuum now comes with an energy rating. The scale runs from A to G, with A being the best vacuums in regard to efficiency and G being those that are least efficient. 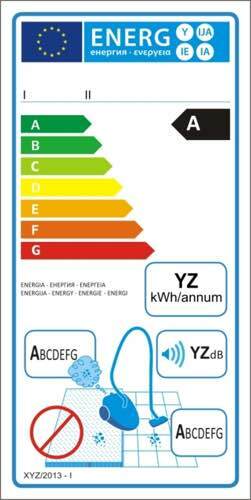 The energy rating of the machine can be found on the energy label, along with the estimated annual energy consumption, a rating for dust emissions and grades for carpet cleaning, hard floor cleaning and noise. You can see a sample label on the left. Capacity – The dirt collection capacity is one of many features that you should consider. 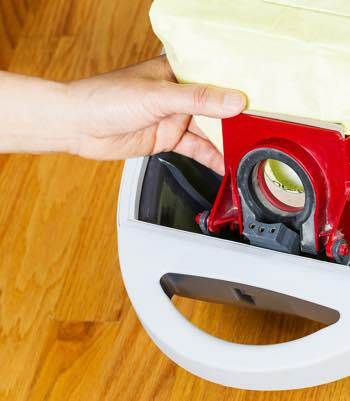 If you do a lot of vacuuming or if the machine is bagged, then you should look for a higher capacity. Cord Length – With cylinder models, the cleaning radius is a big deal and the length of the cord helps to determine the radius. If a cylinder has a small working radius, it can make for a machine that is somewhat inconvenient. Storage – One of the reasons that people like cylinder vacuums is because they are light and compact and this makes them good for storing in small spaces. To determine how easy a machine is to store, consider the weight, size, if there is a place for the cord, if there is a place for the tools and if there is a carrying handle on the body. Parking system – A cylinder that has a parking system can be better for storage. Without the parking, the wheels are free to roll around when it is stored away and this can be a problem in some situations. Noise – All vacuums generate noise, but there are models that are pretty good about limiting the operating noise. Settings – Some machines just have one setting for every job, but there are those that offer a range of settings for the additional tasks like dusting and upholstery cleaning. Pets – Cylinder models have a reputation for not being as good for homes with pets, but there are some models that come designed just for pet-owners. If you have pets, you just want to make sure that it has a floor head that is good at picking up hair and you should also look for the addition of a turbo tool. Warranty – A warranty has no relevance as to how good the vacuum is, but it is something you want to consider. A good vacuum can cost a decent amount of money and if the machine quits early, you want to have the peace of mind that comes with a guarantee. 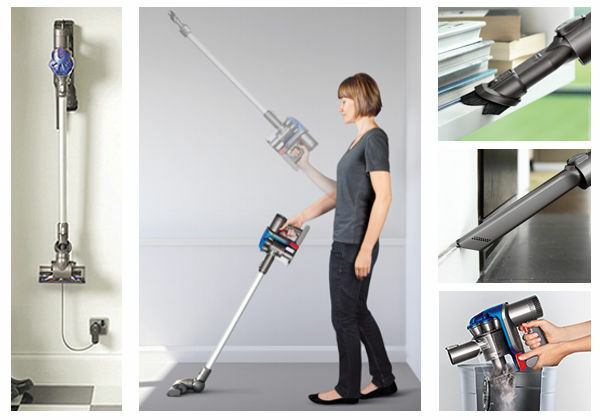 Uprights are the real workhorse of the vacuum cleaner family. If you’ve got lots of carpets and a wide area this is the option for you. Don’t those little Dysons look cool? Even if you never use it you can just hang the thing on the wall and tell your friends it’s an art installation. Sleek, stylish and get the job done. 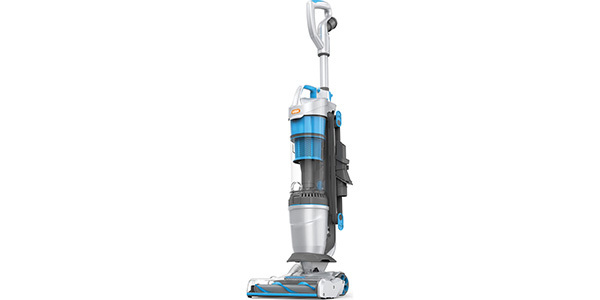 What’s not to like about the minimalist evolution of the hoover? Small, round and very sucky. No it’s not a Polo, it’s God’s gift to people who hate to vacuum!